Plus more about breastfeeding, baby sign language and mommy yoga. Becoming a mom may be the biggest challenge a woman can ever face, but you don't have to be alone. 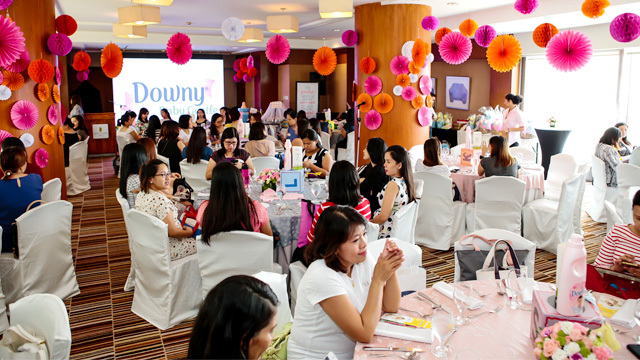 Bianca Gonzalez-Intal shared her motherhood journey with expecting moms and moms-to-be during the Smart Parenting Baby Shower, held in partnership with Downy Baby Gentle last April 3 at Discovery Suites in Ortigas Center, Pasig City. 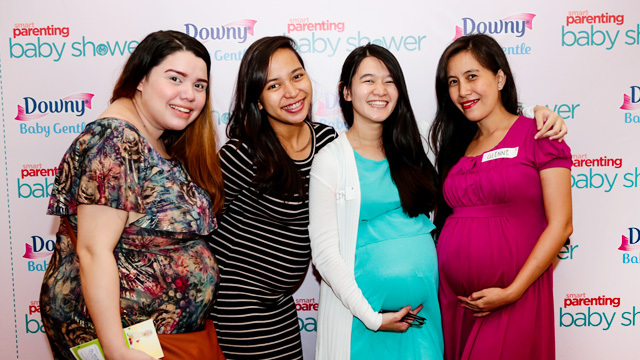 The Downy Baby Gentle Team adorned and scented the place with a delicate hint of 'Gentle Softness' - to inspire moms to choose products that are made specifically for their little ones. The host, writer, editor, advocate, and mom to Lucia, 5 months said: "All throughout my pregnancy, I just prayed for a healthy, safe, and happy delivery." Bianca then asked who among the expectant moms were career women, too. She then said, "When we do our jobs, alam natin saan tayo magaling. Like ako, magaling ako makipag-usap sa mga tao. "[But] as a first-time mom, hindi mo alam ang mangyayari. Start ka from scratch after the baby is born; 24/7 nasa bahay ka lang, nag-aalaga. Half of the day, umiiyak siya. Nakakabaliw, but in a good way." Bianca also gave some quick tips on how to enjoy your pregnancy. She said that eating for two is not true. She also recommended doing light exercises, such as walking and swimming, so you can get back in shape faster and will be able take care of your baby better. Also, finding the right support system is important. She ended her talk by wishing everyone in the audience a happy breastfeeding journey: "Stay positive, and tell yourself, 'Marami akong milk!'" 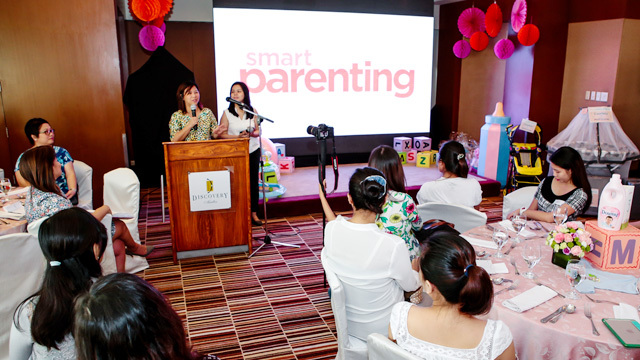 During the Smart Parenting Baby Shower, the expecting moms and moms-to-be got support, advice, and guidance not just from Bianca but from experts as well. "Now is a great time to be pregnant, because information is readily available," said Lei Sison, managing editor of SmartParenting.com.ph. "Whether it's your third or fourth baby, it feels like you still need a refresher course, and that is why we are here to guide and be part of your pregnancy journey." 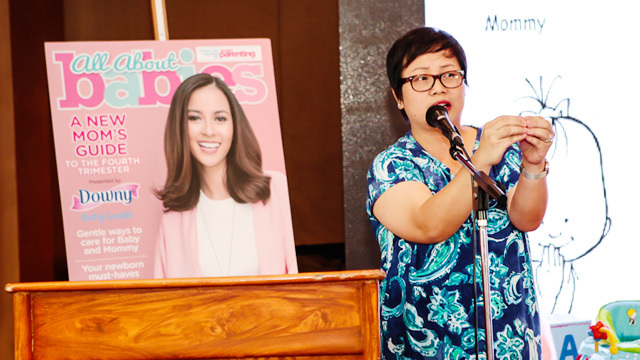 Dr. Jamie Isip-Cumpas talked about the importance of taking care of Baby's sensitive skin. She emphasized eczema as the most common type of skin disease in children and how flare-ups and scratching could be avoided. One way to do just that is to use dermatologically tested products, like Downy Baby Gentle, on the fabrics that come into constant contact with your baby's skin. Specifically designed for use on baby clothes, this fabric conditioner has been technically proven by experts in the Procter & Gamble Kobe Innovation Centre to make fabrics softer and smoother. 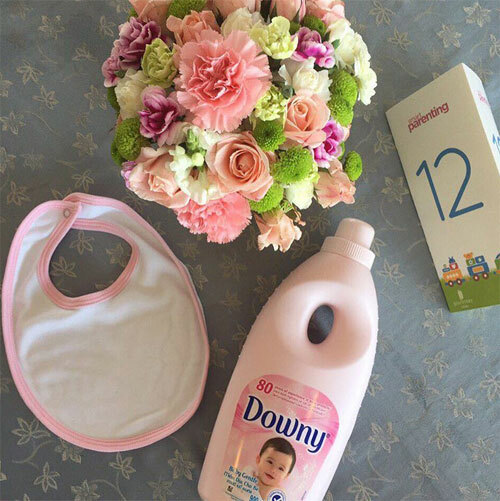 The scents used in Downy Baby Gentle are carefully chosen by moms for their babies and produce a mild, gentle, and comforting fragrance. The attendees also learned the options for delivering their baby. Betty San Luis, also known as Doula Betty, gave a brief background on the different types of birth and how moms, too, could choose the childbirth experience they would be most comfortable with. Sharon Agoncillo-Galang of Baby Signs Philippines shared how baby sign language could greatly affect babies' language development and communication during the early years. She gave the audience a quick tutorial on signs they could teach their little ones in the future. Now wouldn't it be nice to know why exactly your little one is crying? Zenaida Feliciano or Coach Z gave a crash course on breastfeeding. She pointed out that whatever the shape of your breasts, milk would always be there, you just have to keep on trying. After a quick break, the group split for some fun activities. Coni Tejada challenged the attendees to get creative in designing a baby's bib. Jo Endaya of Urban Ashram Manila introduced the moms to prenatal yoga. "As the baby grows, your posture also changes, which is why you need to learn good breathing and to exercise from time to time to relax yourself and your baby," she explained. Make it more fun by finding another preggy mommy to stretch with. The attendees not only learned pregnancy and parenting tips but made new friends, too. They also brought home goodies from the Smart Parenting Baby Shower sponsors: Mommy Treats, Baby Mama, Chunkychewelries, Mamaway, La Dolce Vita Ph, Tiny Buds, Quirks and Giant Carrier. No mom came home empty handed - everyone was full to the brim with valuable information, moral support and a new network of friends each and every mom could count on during their pregnancy journeys. Now that's some sweet start for mommy and the little one. 'Til our next baby shower!